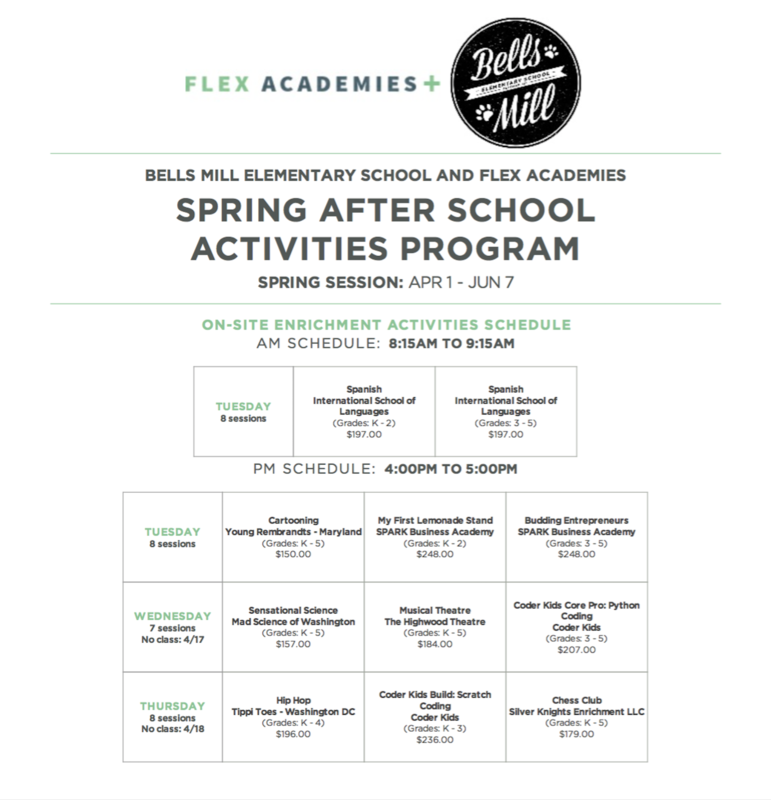 At Bells Mill Elementary, you can find activities before and after school to provide enrichment for your children, at a location convenient for parents — rooms and fields of our school! 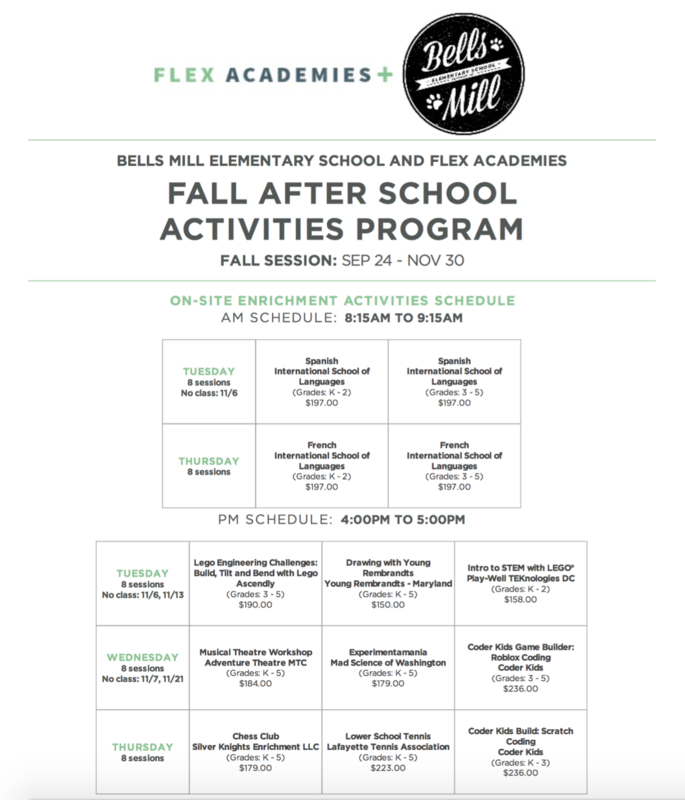 Enrichment providers offer programs in sports, fine arts, science and language, to name a few. 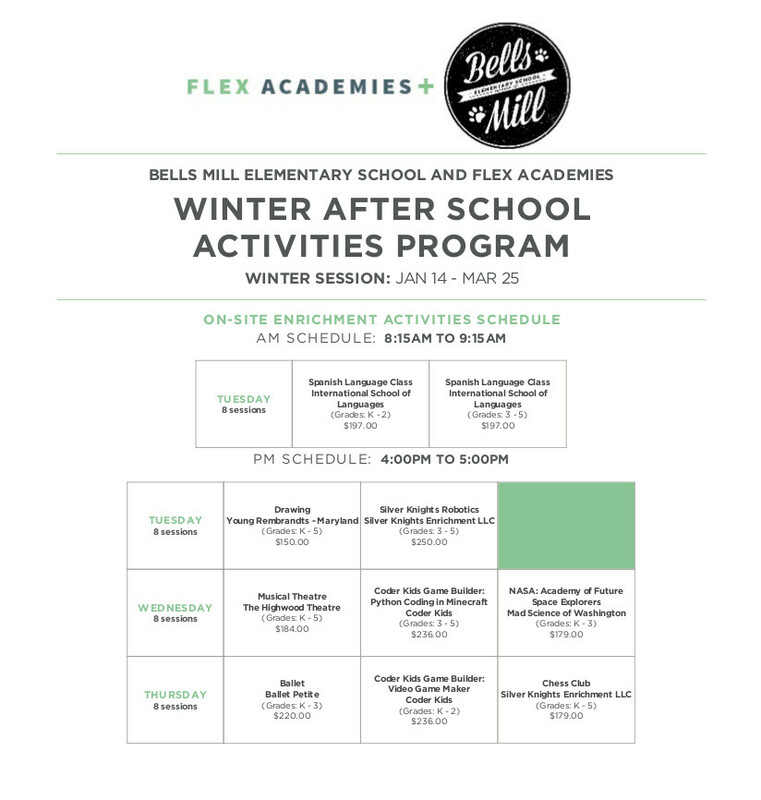 The PTA provides this listing for informational purposes only and does not endorse any of the programs or enrichment providers, nor does the PTA guarantee the accuracy of the following information. Concerns or questions about the published information should be taken up with the individual programs. Please fill this out once for the year to participate in any PTA sponsored activities: Family Waiver.